Good social skills allow kids to enjoy better peer relationships. But the benefits of robust social skills reach far beyond social acceptance. Children with better social skills are likely to reap immediate benefits. For example, a 2019 study found that good social skills may reduce stress in children who are in daycare settings. Being away from family places stress on children, and not having the social skills to interact with others likely compounds that stress. The researchers found that children experienced a decrease in cortisol once they learned new social skills. Additionally, kids who can get along well with peers are likely to make friends more easily. According to a 2015 study published in the International Encyclopedia of the Social & Behavioral Sciences, childhood friendships are good for kids’ mental health. Friendships also give children opportunities to practice more advanced social skills, like problem-solving and conflict resolution. Good social skills can also help kids have a brighter future. According to a 2015 study published in the American Journal of Public Health, a child’s social and emotional skills in kindergarten might be the biggest predictor of success in adulthood. Researchers from Penn State and Duke University found that children who were better at sharing, listening, cooperating and following the rules at age five were more likely to go to college. They were also more likely to be employed full-time by age 25. The children who lacked social and emotional skills were more likely to have substance abuse issues, relationship issues, and legal trouble. They were also more likely to depend on public assistance. Fortunately, social skills can be taught. It’s never too soon to start showing kids how to get along with others. And it’s never too late to sharpen their skills either. Learn the most important social skills for kids to learn and how you can help teach them. A willingness to share a snack or share a toy can go a long way to helping kids make and keep friends. According to a 2010 study published in Psychological Science, children as young as age two may show a desire to share with others—but usually only when their resources are abundant. However, children between the ages of three and six are often selfish when it comes to sharing resources at a cost to themselves. For example, a child with only one cookie might be reluctant to share half with a friend since it means he’ll have less to enjoy. On the other hand, he might readily share a toy that he’s no longer interested in playing with. Around age seven or eight, most children become more concerned with fairness and are more willing to share. Furthermore, research shows sharing and positive well-being are related. Overall, studies show children who feel good about themselves are more likely to share. Sharing also makes them feel good about themselves. So teaching them to share may be key to boosting their self-esteem. Cooperating means working together to achieve a common goal. Kids who cooperate are compliant with requests from others. They also contribute, participate, and help out. Good cooperation skills are essential for successfully getting along within a community. Your child will need to cooperate with classmates on the playground as well as in the classroom. Cooperation is important as an adult, too. Most work environments thrive on employees’ ability to work together as a team. Cooperation is key in romantic relationships as well. By about age three and a half, young children can begin to work with their peers on a common goal. For children, cooperation may involve anything from building a toy tower together to playing a game that requires everyone to participate. Some may take a leadership position while others will feel more comfortable following orders. Either way, cooperation is a great opportunity for kids to learn more about themselves. Talk about the importance of teamwork and how jobs are better when everyone pitches in. Create opportunities for the whole family to work together. Whether you assign everyone a specific job when you’re making a meal or you assign specific chores that are integral to the family, emphasize the importance of cooperation often. Listening isn’t just about staying quiet—it means really absorbing what someone else is saying. Listening is a critical component of healthy communication. After all, much of the learning in school depends on a child’s ability to listen to what the teacher is saying. Absorbing the material, taking notes, and thinking about what is being said will become even more important as your child advances academically. It's essential that your child grows up knowing how to listen to the boss, a romantic partner, and friends. It may be an even more difficult skill to master in the age of digital devices since so many people tend to stare at their smartphones when they’re engaged in conversation. When reading a book to your child, periodically stop and ask her to tell you about what you’re reading. Pause and say, “Tell me what you remember about the story so far.” Help her fill in any gaps she’s missing and encourage her to keep listening as you continue. Additionally, don’t allow her to interrupt others when they’re talking. Kids who struggle to follow directions are likely to experience a variety of consequences. From having to redo their homework assignments to getting in trouble for misbehavior, not following directions can be a big problem. Whether you tell your child to clean his room or you’re telling him how to improve his soccer skills, it’s important for kids to be able to take direction—and follow instructions. Before you can expect your child to get good at following directions, however, it’s essential that you become well-versed in giving directions. For example, don’t give a young child more than one direction at a time. Instead of saying, “Pick up your shoes, put your books away and wash your hands,” wait until he picks up his shoes before giving the next command. Another mistake to avoid is phrasing your directions as a question. Asking, “Would you please pick up your toys now?” implies that he has the option to say no. Once you’ve given your child directions, ask him to reflect back what he said. Ask, “What are you supposed to do now?” and wait for him to explain what he heard you say. It’s normal for young kids to get distracted, behave impulsively, or forget what they’re supposed to do. View each mistake as an opportunity to help him sharpen his skills. Praise your child for following directions by saying things like, “Thank you for turning off the TV the first time I told you to.” If your child struggles to follow directions, give him opportunities to practice following simple commands. Say things like, “Please pass that book to me,” and then provide immediate praise for following directions. Some kids are close talkers. Others crawl up into the laps of acquaintances without any idea that the other individual feels uncomfortable. It’s important to teach kids how to respect other people’s personal space. Create household rules that encourage kids to respect other people’s personal space. “Knock on closed doors,” and “Keep your hands to yourself,” are just a few examples. If your child grabs things out of people’s hands or pushes when he’s impatient, establish consequences. If your child climbs into the laps of acquaintances or stands too close to people when he talks, use it as a teachable moment. Take him aside and provide some coaching to help him learn more about personal space issues. Teach your child to stand about an arm's length away from people when he’s talking. When he’s standing in line, talk about how close to be to the person in front of him and talk about keeping his hands to himself. You might role-play various scenarios to help him practice describing appropriate personal space. Good eye contact is an important part of communication. Some kids struggle to look at the person they’re speaking to. Whether your child is shy and she prefers to stare at the floor or she simply won’t look up when she’s engrossed in another activity, emphasize the importance of good eye contact. If your child struggles with eye contact, offer quick reminders. Ask, “Where do your eyes go when someone is talking to you?” Then provide praise when your child remembers to look at someone when they’re talking. You might even show him how it feels to hold a conversation with someone who isn’t making eye contact. Tell him to tell you a story while you stare at the ground, close your eyes, or look everywhere except for at him. Then, invite him to tell another story and make appropriate eye contact while he’s talking. Afterward, discuss how it felt for him in each scenario. Saying please and thank you and using good table manners can go a long way toward helping your child gain attention for the right reasons. Teachers, other parents, and other kids will respect a well-mannered child. Of course, teaching manners can feel like an uphill battle sometimes. From burping loudly at the table to acting ungratefully, all kids will let their manners go out the window sometimes. It is important, however, for kids to know how to be polite and respectful—especially when they’re in other people’s homes or at school. Be a good role model with your manners. That means saying, “No, thank you,” and “Yes, please,” to your child on a regular basis. And make sure to use your manners when you’re interacting with other people. Offer reminders when your child forgets to use her manners and praise her when you catch her being polite. Social skills aren’t something your child either has or doesn’t have. It’s a set of skills that will need ongoing refinement as he grows older. Look for teachable moments where you can help him do better. Some social skills are quite complicated—like understanding it’s important to be assertive when a friend is being bullied, or understanding staying silent when you don’t agree with a call from the umpire. Start with the most basic social skills first and keep sharpening your child’s skills over time. If your child seems to be struggling with social skills more than other kids, talk to the pediatrician. While it may just take a little extra reinforcement and maturity for him to catch up, a lack of social skills can also be a sign of other problems. Children with mental health issues, like ADHD or autism, for example, may be behind socially. 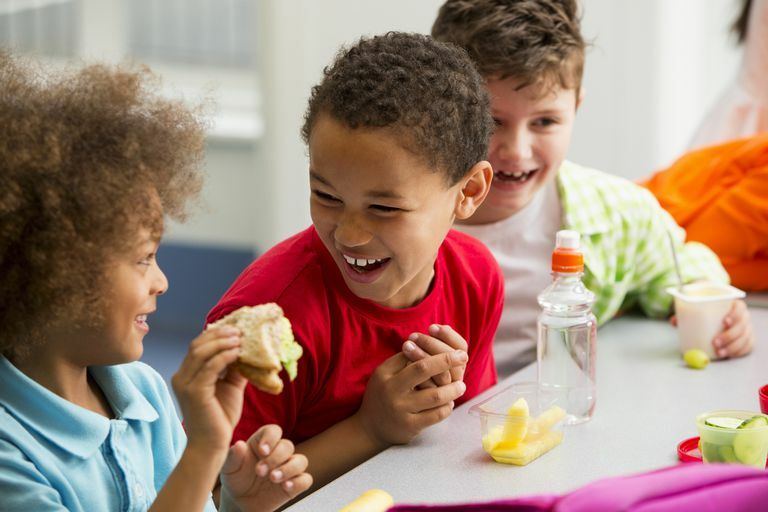 A physician can assess your child and determine whether treatment may be needed to help your child make gains in the social skills department. Can Your Children Use a Rainbow Loom for Their Development?